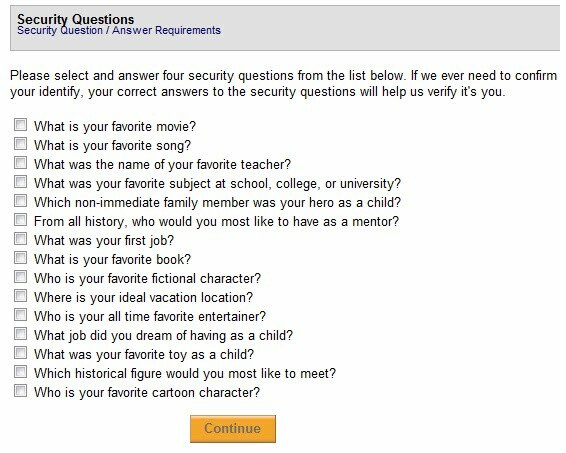 Wells Fargo requires that I provide answers for four of the following "Security Questions". I can't come up with four of these for which I will have a consistent answer that I'd consider to be secure (not known by others) enough to use as a security question. Are people typically so shallow in their thinking that they have consistent answers for these that aren't known by others? And if I actually cared about all these things, these are things I would not want to share with any financial institution. Let's make things less secure by giving every website we use even more personal information. I think not!